I’ve often found my fault-finding misunderstood when speaking to people from – virtually – every other country. This is a key cultural trait that I have found difficult to translate. I don’t need to be unhappy or discontent with my surroundings in order to voice criticism. 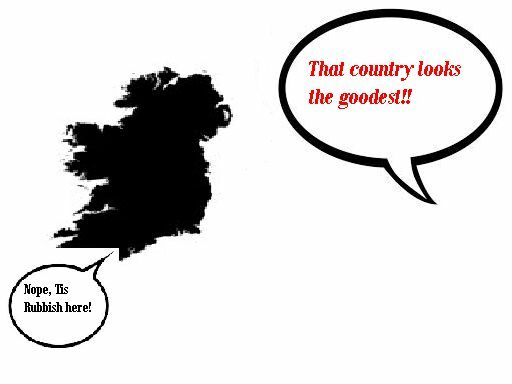 Now, such criticism isn’t harsh, it’s merely playful and Irish people understand this. However, people from other cultures don’t! And, therefore, the playful cynicism in my head is sometimes met with the misinterpretation of distain. The same can be said about insults and compliments. As a people we are much more at ease and comfortable with insults and adversely we deem compliments to be parasitic to the senses. It stems from a culture where you need to grow up thick-skinned because all those closest to you – who love you the most – bombard you with insults from a very young age. This is deemed necessary to ensure ‘you don’t get a big head’, or become arrogant. Naturally this also results in a quick wit and a sharp tongue. However, contrary to what might be expected, compliments aren’t taken with the same stride. They are greeted with discomfort, awkward silences and self-deprecation. Like everyone else though, we do crave praise and the feeling of success. However, when we receive this praise we are incapable of appreciating it. Therefore, it makes sense that people reacted harshly to the result.